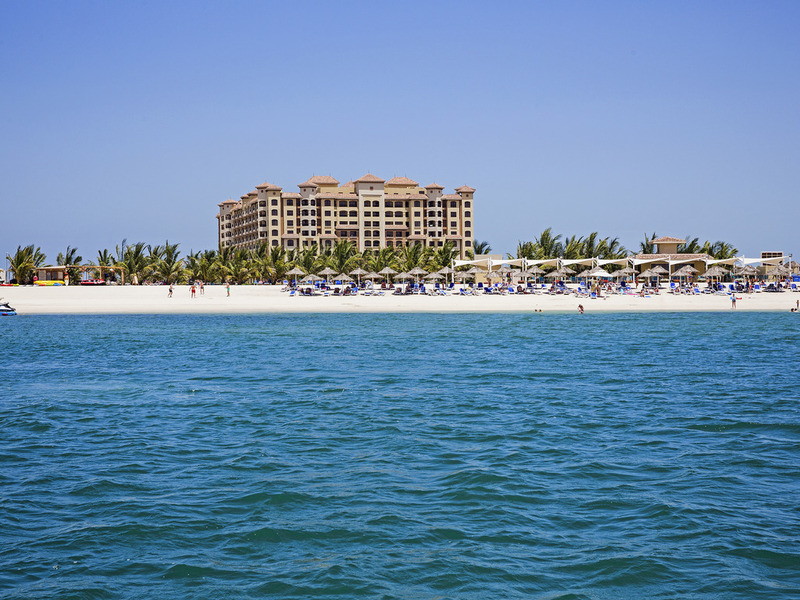 Marjan Island Resort & Spa is located on Ras Al Khaimah's first man-made island with scenic views of the shimmering waters of the Arabian Gulf. This five-star destination offers impeccable standards of service combined with distinctive style, reflecting its Arabic heritage and tradition of hospitality. Offering a variety of leisure activities and the luxurious La`mar spa with ladies and gents area, this alcohol free resort is devoted to serenity and well-being, just 45 minutes away from Dubai. Situated off the coast of Ras Al Khaimah just a 45-minute drive from Dubai, the island is a center of attraction with many kilometers of seafront resorts, pristine beaches and an array of cultural and traditional activities. Superior rooms, starting from 40 m², offer stunning views and luxurious amenities. Featuring one king-size or two twin-size beds, private balcony, Free wireless Internet access, large interactive TV and many more to ensure your utmost comfort. Premium Room, starting from 44 m², feature one king-size or two twin-size beds, separate sitting area and a private balcony with stunning views of the Gulf. Thoughtfully designed with comfort and convenience in mind. International all-day dining restaurant with relaxing and bright ambiance in its interior, it also offers the opportunity to dine outdoors, overlooking the sea horizons. Our varied cuisines are tailored to satisfy every age and taste. Located on the waterfront promenade, perfect place for Al Fresco dining and trendy gathering. With truly Lebanese and Levant flavors, it is the memorable sunset venue for first-rate mezzes for late evening Island lounging and light snacking. Located at the poolside and annexed to the Pirates Club, this Italian-style casual-cafe offers exquisite mouthwatering and hot oven-baked Mediterranean fare, pizzas and panini, always to thrill the taste buds of the youngsters and their parents. Set in an Arabian stylish yet comfortable atmosphere, Al Majlis Tea Lounge overlooks the majestic lobby with its high ceiling and distinguished palatial feel. Enjoy all-day savories, patisseries, freshly brewed coffees and afternoon teas. While savouring your favourite shisha with an authentically served Moroccan tea and savouries, just in front of the gentle waves of the sea, Amouage Shisha Terrace is an invitation to a relaxing and sensorial experience in a magical island atmosphere. Enjoy casual light snacking and signature refreshments in our Turtle Beach Club and re-experience relaxation to the fullest, while enjoying the brazing ocean breeze. Turtle Beach Club also offers a wide range of creative fun food for children.